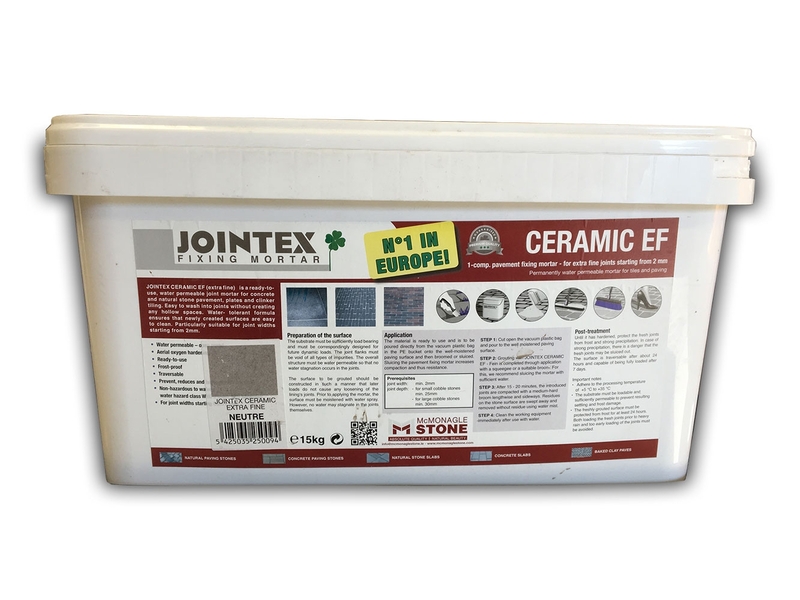 Jointex has developed the "Ceramic Extra Fine" jointing compound for use with ceramic paving slabs and products. 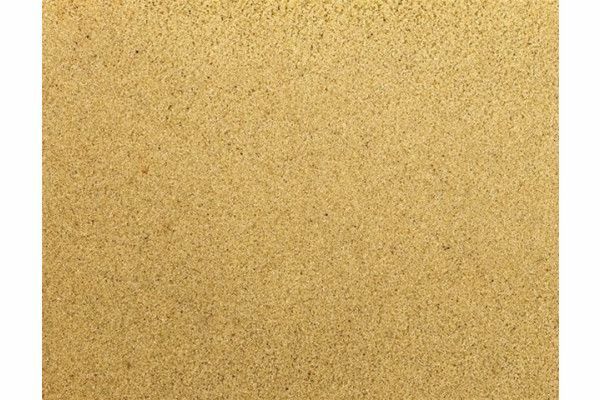 The one component, air hardening, pavement fixing mortar is ready mixed for immediate use. It is permanently water permeable, resistant to high-pressure cleaners and prevents weeds from sprouting. This compound has been specifically designed for smaller joints of 2mm or more. 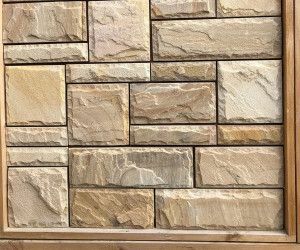 Can be used when pointing the following outdoor paving products porcelain, natural, and concrete slabs. 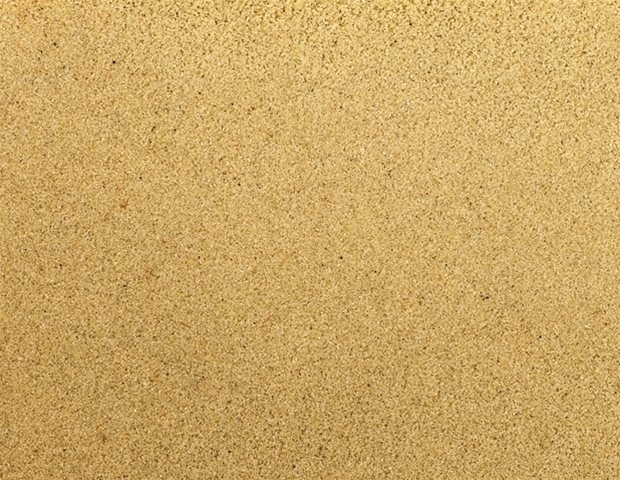 The neutral sand colour tends to happen used in lighter colouring paving joints but has been known to be used on black coloured paving to create a real statement. Something to make note of when using Jointex or Rompox on a dark patio especially on a hot day we advise on using a lot more water initially. This is needed to cool the surface so it doesn't dry out too quickly as this can end up staining the slabs. 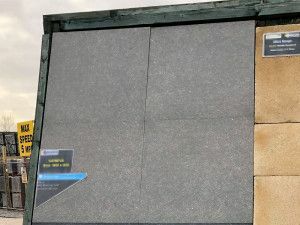 The slabs we have found this to happen on is the dark slate paving and the dark granite slabs. Minimum joint width now 2mm. 2. Open the bucket and empty the plastic back onto the surface that is to be pointed. 4. Brush away any remaining mortar residue with a soft broom diagonally to the surface.FINISHED!!! !No further equipment or extras necessary. 2. 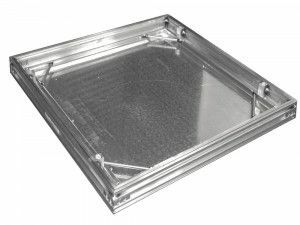 To achieve a better self-compacting result without a visible shiny surface, the area can be pre-wet with water. 3. 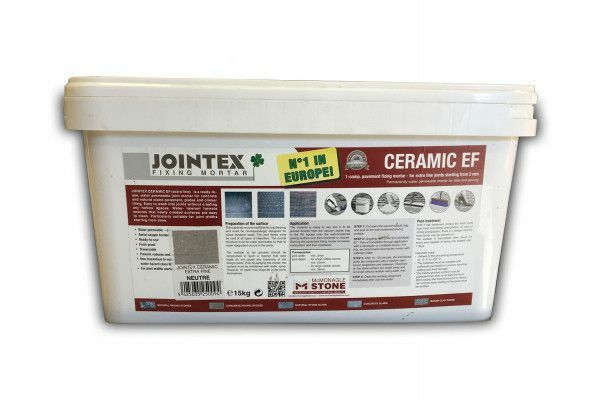 Open the bucket and pour JOINTEX® EASY Joint / CET onto the surface that is to be pointed. 4. 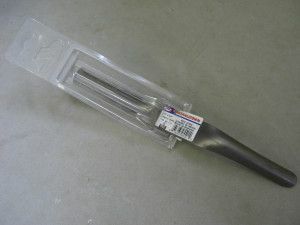 Using a hard broom or rubber broom, work the material in deep, firm and compact into the joints. 6. Brush away any remaining mortar residue with a soft broom diagonally to the surface.FINISHED !!!! This technique should only be applied to surfaces with highly water- permeable subsoil.